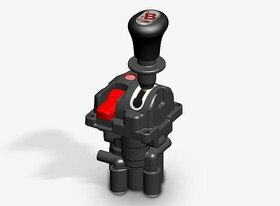 Sandwich 3-way pneumatic control valve is made up with different possible combinations of 1, 2 or 3 different pneumatic control switches to operate PTO, tipping valve and hydraulic gates. With side or lower attachments, the sandwich pneumatic tip controller can include a lever, a selector and/or a push/pull controller. 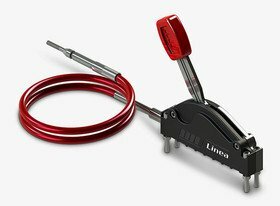 The lever is mainly dedicated to control Tip/Low operation. 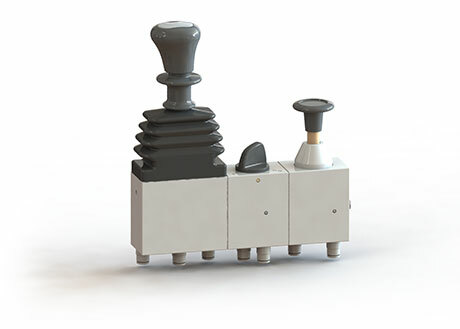 Available with proportional lowering session (some versions also with proportional tipping session), it can have automatic lever return (in accordance with the European Standard, but also manual lever return ( with low block, tip block or both low and tip block). Beside the lever, it is possible to add a selector (4-way, 3-position available, but also 3-way 2-position) usually dedicated to the opening/closing of side gates. The push/pull button is usually dedicated to the PTO engagement. Slim, compact, light and robust: it is your Binotto selection for this type of pneumatic controller in the cabin.